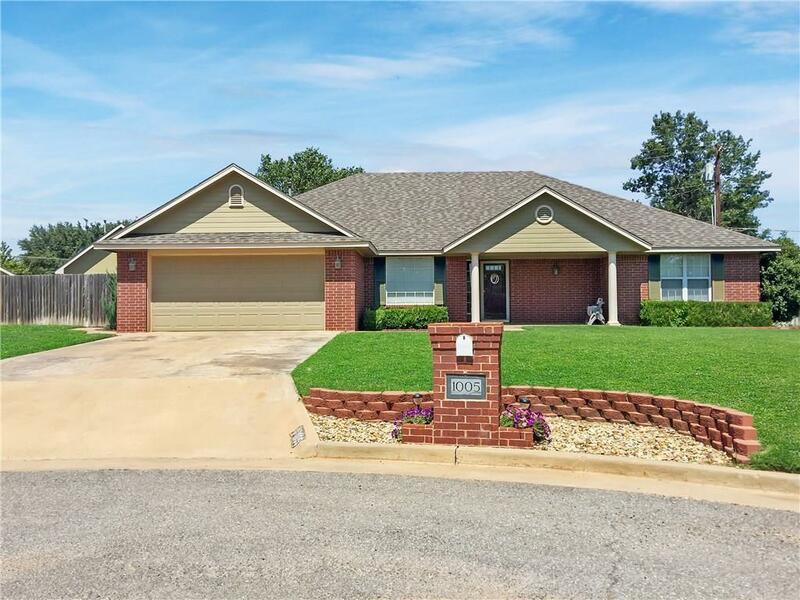 1005 Wendy Circle Altus, OK. | MLS# 861494 | CENTURY 21 Altus Prestige Realty, Inc. Check out this immaculate home in the beautiful Sheryl Homes Addition! The spacious living room features hardwood floors, fresh paint, updated fixtures, 5" wood trim and opens to the dining area. The kitchen has been completely renovated with granite counters, stainless appliances, modern beadboard backsplash, new hardware, updated fixtures and faucet. Behind the sink opens into a formal dining room that can be an office/playroom. Just off the entry is a safe room that has wood flooring and fresh paint, possible office or even a guest room. Master bedroom is spacious with tray ceiling and attached bath has stall shower, jetted tub, walk-in closet, water closet and vanity. Both spare bedrooms have wood floors and fresh paint. The backyard oasis will take your breath away! Covered patio, in-ground pool with safety gate, and plenty of yard space for play! The pool house has a shower & commode, plus a full sink & storage. Attached 1 car garage w/storage, driveway & double gate from alley.